Here are a few from one recent weekend. My brother told you about when the kitties (and my human) chased the mouse. That was a different weekend. 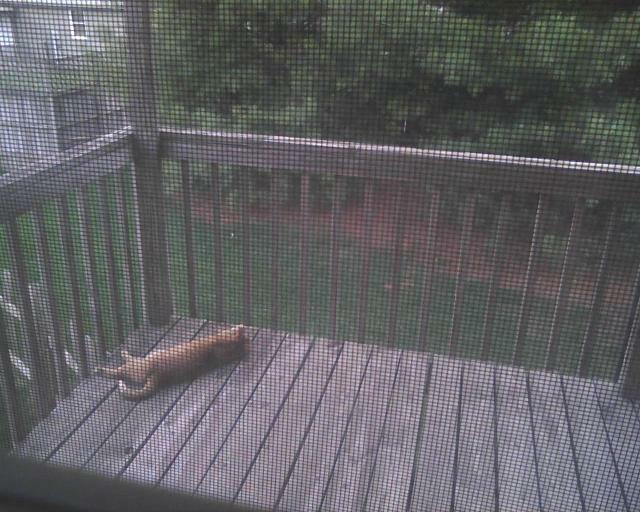 Well... this last weekend... Bob, Shtinky, and a calico/tortie I don't know were out in the yard and on the porch. 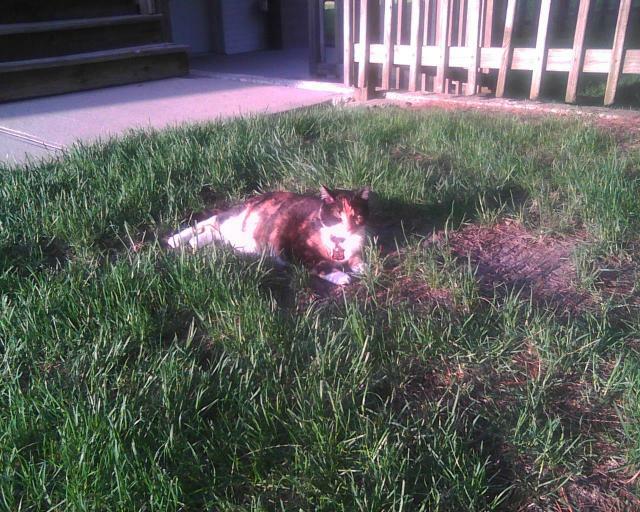 The tortie-and-white is named Bitsy, and she lives with Bob, but stays inside more. I forget if he saw Cyril and Kittles that Caturday. 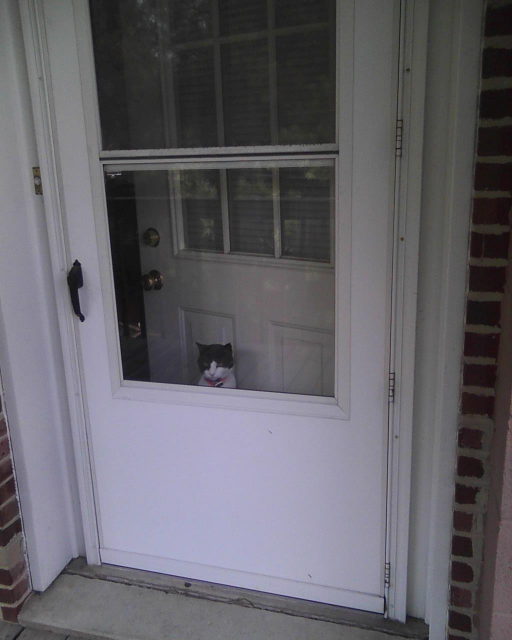 I watched them from my door, but he didn't let me come outside with them. 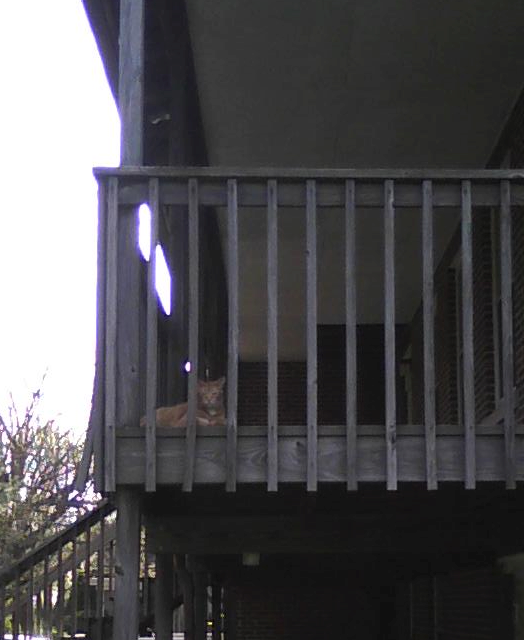 Bob and Bitsy's humans were out there, too, and my human talked with them. 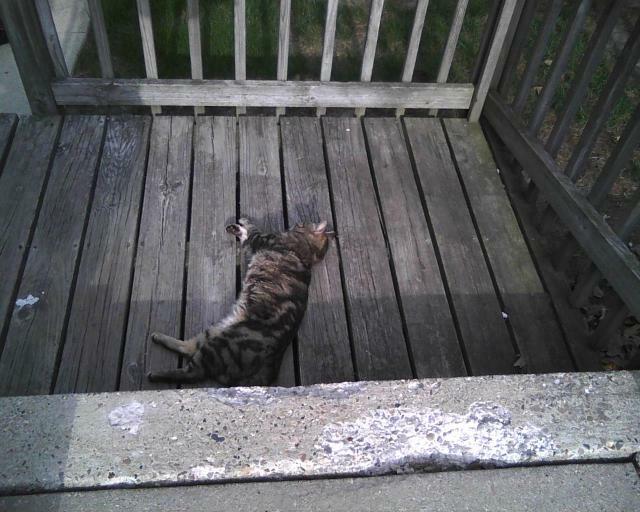 My human disappeared outside for a little bit, too. 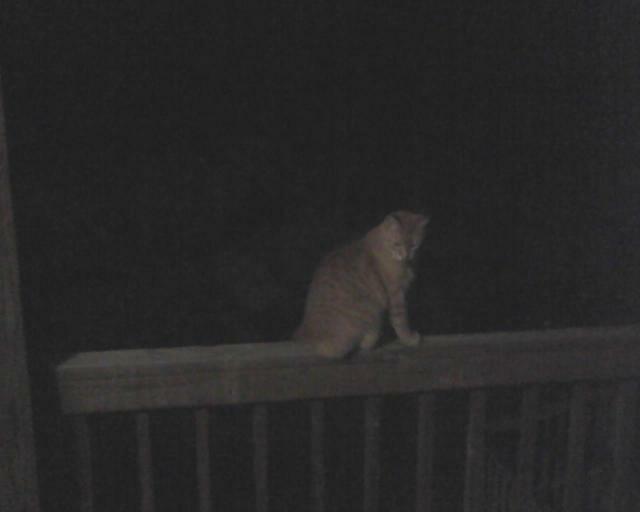 Bob came back after dark and sat on the railing. He purrs a lot when my human gives him attention. He came downtown and walked by my window. I was up in there to see what was making so much noise (the train) and I saw him walk by. 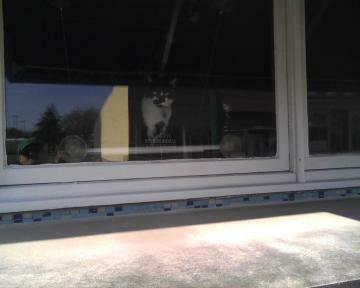 The clinic was closed, so he didn't come in and try to pet me or Ranger.